I consider myself someone who always needs a little something sweet at the end of a meal; a piece of chocolate, a slice of cake, or a spoonful of whatever N ordered. Passover desserts, however, never quite do it for me - they are often dry and lack any real flavour or texture. As a child, I was never a fan of macaroons, I found the pre-packaged ones quite dense and lacked the moisture that one associates to coconut. This year passover was going to be different - I was going to attempt to make my own. Next year, I will try making these, but this year, I settled on ones a co-worker had told me about. 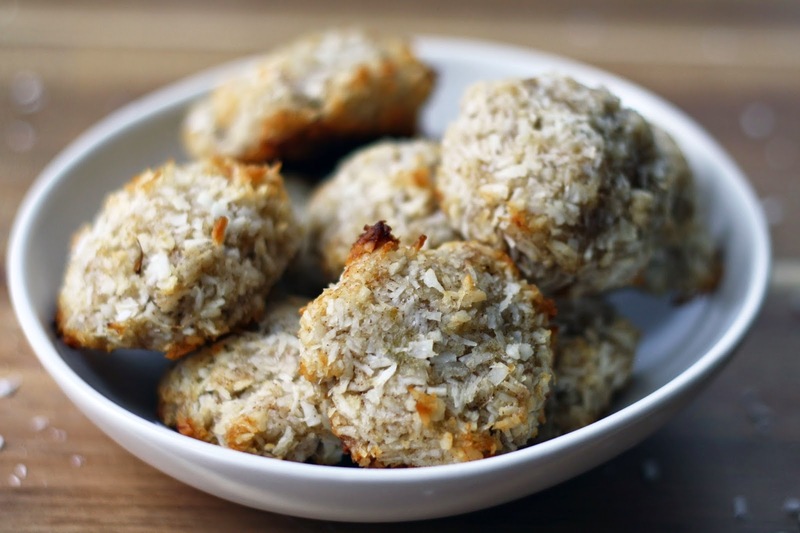 These vegan paleo macaroons called for ripe bananas instead of egg whites, and anything that resembles banana bread is (more then) fine by me. 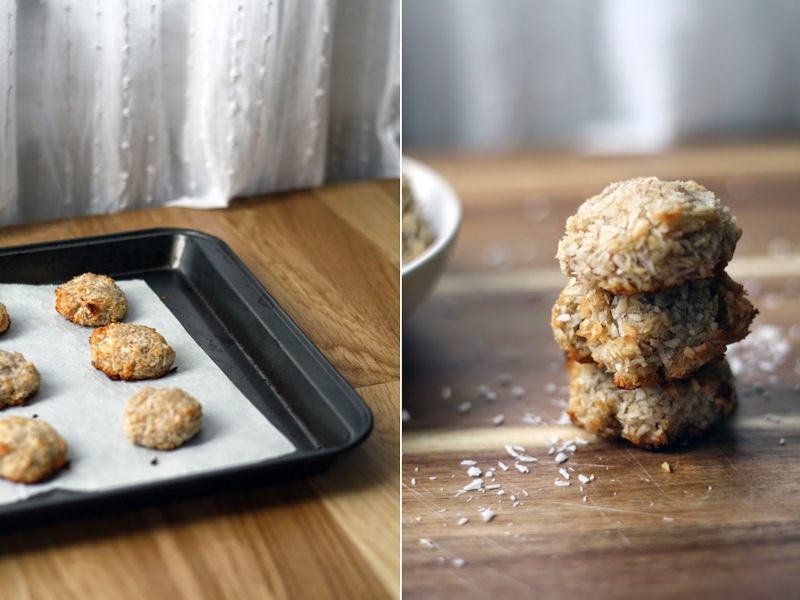 They may not look perfect like the store-bought ones, but these little macaroons are packed with flavour, moisture and have a perfect texture - great for breakfast, mid-day snacks, or dessert! In a large bowl, mash the bananas. Continue to add the coconut, coconut flour and cinnamon and stir to combine. In a microwave safe bowl, melt the coconut oil. Add the maple syrup and vanilla to the bowl and whisk gently. Transfer the wet ingredients to the dry and stir to combine. Line a baking sheet with parchment paper. Scoop roughly 1 tbsp increments of batter onto the baking sheet (use an ice cream scoop, tablespoon, spoon or your hands). * Bake for 15-30 minutes until golden brown (cooking time will depend on size of macaroons). *Note: Shape-wise, my macaroons were definitely not perfect. An ice cream scoop with lever would probably work really well - for next time.